In 2019, the Foundation is celebrating the 100th anniversary of Robin Boyd’s birth and is offering a special Centenary Friends Membership as part of our Centenary of Design Program, in addition to our general Friends Membership. Demonstrate your commitment to good design and support the Robin Boyd Foundation to continue and grow the legacy of Australia’s iconic architect and awareness of his midcentury modern home Walsh Street (Boyd II). For over a decade, the Foundation has upheld Robin Boyd’s commitment to introducing and encouraging the wider community to understand the benefits of good design. In addition to contributing to the maintenance and preservation of Walsh Street, Friends Memberships help the Foundation offer design-focused, public educational programs and events focused on increasing individual and community awareness and participation in understanding historical and contemporary issues about the built environment. 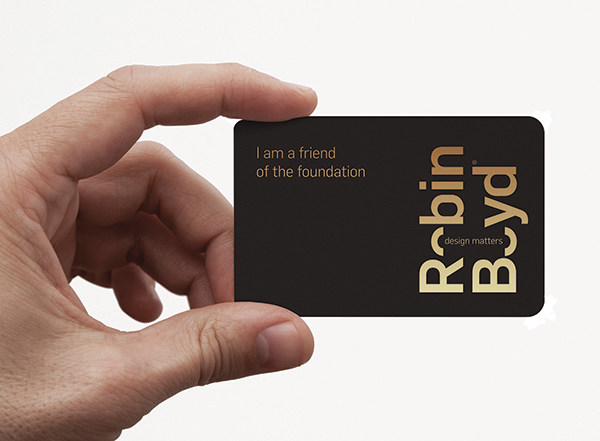 We very much look forward to welcoming you to our ever-growing Robin Boyd Foundation family.